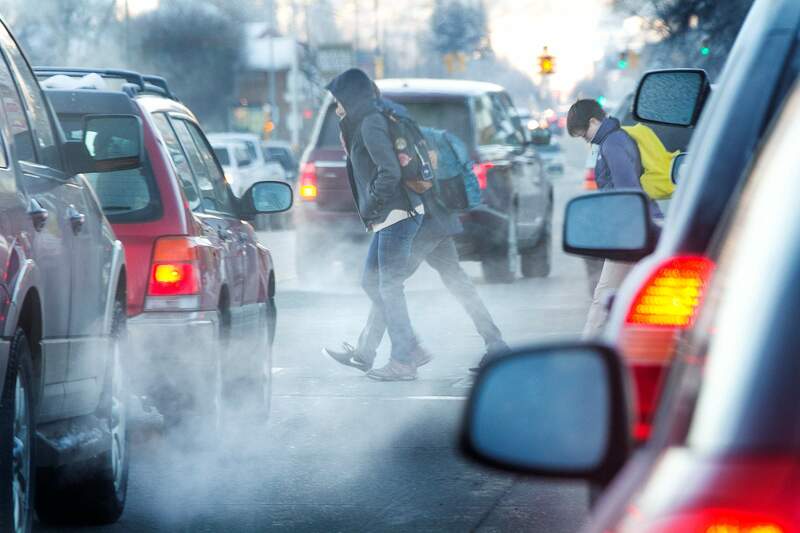 Durango High School students cross north Main Avenue on Tuesday morning as frigid temperatures hit the region. Dense fog also was present in areas of Southwest Colorado on Monday night and early Tuesday. 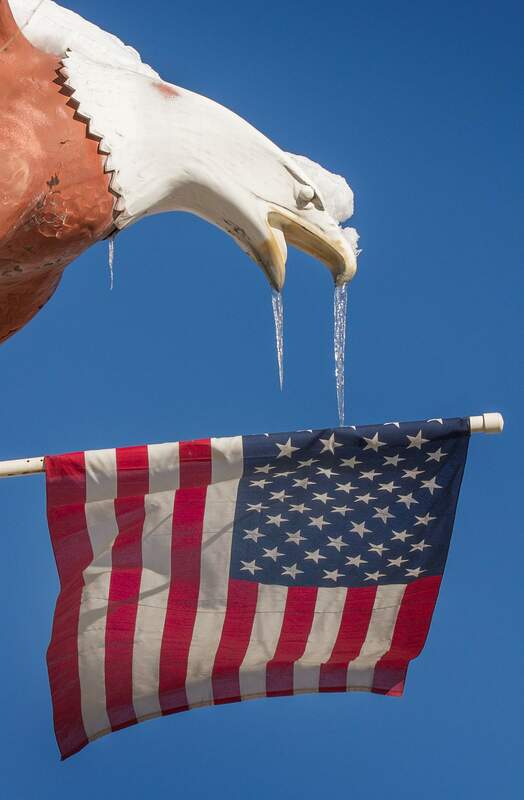 Shaun Stanley/Durango Herald - DURANGO, CO- 1-12-16- Symbols go beyond the weather as seen with icicles hanging off of the eagle on the sign for U-Store-It on north Main Avenue Tuesday as the region is in the grips of frigid temperatures. 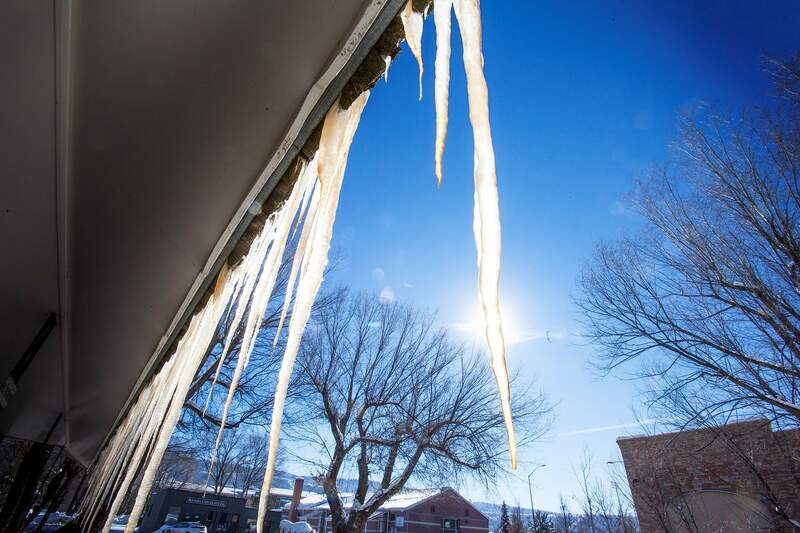 Shaun Stanley/Durango Herald - DURANGO, CO- 1-12-16- Signs of the times are seen with icicles hanging off of the side of the U-Store-It building on north Main Avenue Tuesday as the region is in the grips of frigid temperatures. Another cold night is in store for Durango, and there’s a dense fog advisory as well. The National Weather Service is calling for an overnight low of 4 degrees – that’s at least a few degrees warmer than the overnight low of minus 4 in the early hours of Tuesday. A dense fog advisory is in effect from 8 p.m. Tuesday to 11 a.m. Wednesday, limiting visibility to a quarter mile at times. The weather service cautioned motorists to drive slower and leave plenty of room in between vehicles on the road. The advisory includes Durango, Bayfield, Ignacio and Pagosa Springs. Joe Ramey, a meteorologist with the National Weather Service in Grand Junction, added that snow could return to the area on Thursday into Friday, but major accumulations aren’t expected. He said another storm system is forecast on Sunday. Will there be any break to the freezing temperatures? Durango isn’t the only place suffering from the cold. In San Diego, weather service meteorological technician Larissa Johnson said the mid-40 degree temperatures Tuesday morning were a little bit cool for the season. Even Miami is suffering from a cold front, with highs in the upper 60s. And when they do, temperatures there will return to normal, with highs in the mid-70s and sunny skies.